Maldonado Uruguay is the capital city of the Uruguay province with the same name. 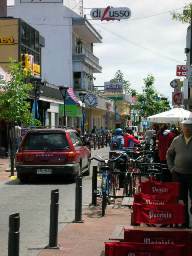 This is one of the most popular cities in Uruguay for tourists because it is such a diverse and interesting experience. Although this city is close to Montevideo and Punta del Este it still manages to retain its own unique identity and charm. This city was established in 1755 by order of Joaquin de Viana who was the Governor of Montevideo. Just 2 years later in 1757 this city had more than 100 permanent residents. 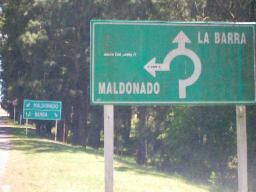 Although originally this city was named Maldonado the official name became San Fernando de Maldonado in later years. This name change was done to honor Spain's King Ferdinand VI during the colonial era. This city of Uruguay has long been popular with tourists who hail from Argentina or Brazil. Now people from a number of other countries are beginning to discover the friendly atmosphere and interesting culture that exists here. You can experience real Uruguay life when you come to spend time here. The city has blended modern life with traditional customs and the unhurried pace means that you will have plenty of time to explore the land and visit with the people who live here. This is one of the cities of Uruguay that takes pride in the deep ties to the past and there are a number of historically significant attractions for visitors to appreciate. Among the popular tourist attractions are Torre del Vigia and Cuartel de Dragones. San Fernando de Maldonado Cathedral is yet another wonderful link that connects present day tourists with the rich heritage of this cities early years. 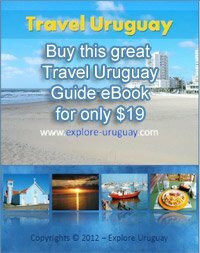 The Province actually shares the same name as the city and is home to many lovely coastal cities in Uruguay. In addition there are cities such as Punta del Este and Piriapolis to discover. The beaches here are among the best in South America and each year thousands of visitors come to relax and enjoy these beautiful surroundings. Many visitors come here to see the Casa de la Cultura, the regional Museum Francisco Mazzoni and the Ramirez School. The Mill, or El Molino, is another structure that commands a great deal of attention. San Fernando Square is a very modern town square that was remodeled and updated during the 1970s. Here is where you will find a large statue of General Jose Gervasio Artigas and a stunning mural created by Castells Capurro. Many dances, bands, orchestras and political events are featured at the San Fernando Square. Even when there are no special events taking place on stage you will enjoy strolling about this tree lined area. This city in Uruguay is also the home of the Museum of American Art. This museum was first established during the 1950s. Former Uruguay President Eduardo Victor Haedo created this center as a place where people could come and enjoy art and culture from a variety of artists. Today this museum complex features an outstanding collection of art ranging from the pre-Columbian era to works by modern day Latin American artists. During my stay, I had an excellent hotel room in the San Fernado Hotel overlooking the Plaza. I was told this is where all the locals hangout and where they go to shop and visit with friends. The room I rented was a double bed with air conditioning wireless internet and a balcony and double bed. I made a deal for $35 per night and considered it a good deal. There are many local food vendors where you can buy some Authentic Uruguay Food including large hotdogs for about $.40 a piece. They include all the toppings you know and some you probably havent even conidered putting on your hotdogs before. When I spoke to the local people of Uruguay, they all told me the same thing. If you want hang out with locals, you need to visit downtown Maldonado and walk around the narrow streets, check out the great shopping deals and maybe even enjoy a Mate while sitting in the San Fernando Square. Lo de Ruben which the local people of Uruguay tell me has the best steak. As well you can experience the many other flavours of Uruguay by visiting the numerous restaurants, cafes and bakeries that line the streets of Maldonado.